How Important is Location to Focus Group Facility Choice? Have you ever booked a project in a market only to find that the research facility was an hour from the airport!? How did the bumpy cab ride to the location feel? And hopefully you made it on time. A recent survey revealed that 75% of researchers feel facility location is an integral factor in market choice for a specific project (75% rated facility location 7 or higher on a 10-point scale, OB Client Survey 2014). In considering the results, this makes perfect sense to us. 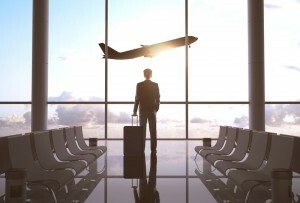 Most researchers are hitting multiple markets each week and convenience to the airport is a huge factor in how tired clients are at the end of those weeks. Good thing Observation Baltimore is just 6 minutes from BWI Airport, AMTRAK, and right off the I-95 corridor while still only 10 minutes from downtown Baltimore. Next time you’re stuck in a cab for 30 minutes heading to a facility, remember that location definitely matters. Observation Baltimore is one of the top Maryland market research facilities and rated “One of the World’s Best” by Impulse Survey. Our experienced recruiting is the foundation of our mission, as well as courteous and proactive hospitality and client services. Our environmentally kind focus group facility and practices are a testament to our character, and most importantly: We understand market research! To learn more about the market research facility at Observation Baltimore: call us at 410-332-0400 or click here! If you’d like to participate in one of our focus groups, please sign up at www.observationbaltimore.com/getpaid. This entry was posted on Wednesday, October 15th, 2014 at 5:44 pm. Both comments and pings are currently closed.